Thai Union Group, the seafood giant, has been accused by Greenpeace of "horrendous human rights and environmental issues" in its sustainability practices. 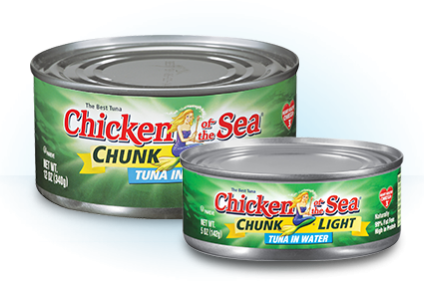 The environmental activist group has been a staunch critic of what it claims is an "out of control" tuna industry, in which Thai Union - the owner of brands including Chicken of The Sea and John West - is a leading player. Thai Union has responded by defending its environmental record in a strongly-worded statement. It has stressed it is "fully committed to the protection of the marine environment and to responsible sourcing". Greenpeace's actions come on the back of a new corporate image and PR strategy announced last month by Thai Union, formerly known as Thai Union Frozen Products. It centred around a "One Future"message, which looks to explain and be open about its working practices. However, Greenpeace wrote to the company last Friday "demanding it address environmental and labour abuse in its supply chain". Greenpeace went on to threaten it would "expose" Thai Union's brands, which also include Petit Navire in France, about the company's alleged practices to consumers. It has also written to Thai Union's shareholders and institutional investors "warning them of the financial risks associated" with what it claims are "destructive and harmful practices". Thai Union said it welcomed "the work that Greenpeace is undertaking to drive change and sustainability through global tuna supply chains, from catch to point of sale". In a statement, the company added: "Like Greenpeace, we recognise the reach and reputation of Thai Union and its many consumer brands allows us to lead the industry in effecting real change that will minimise bycatch, protect stock levels, preserve oceans, improve working conditions and ensure safe and legal practices throughout every fishing operation in the world." Thai Union also went on to praise Greenpeace for the "significant piece of work it has undertaken to rate the operations of tuna producing companies around the world and to ensure that each company has a robust programme in place to improve the protection of endangered species, prevent overfishing and ensure better labour conditions for millions of people around the world." However, the company also officially challenged many of Greenpeace's claims. It claimed it had "policies in place that strictly prohibit the purposeful capture of sharks and the abhorrent practice of shark-finning, and ensure that all of our operations comply with every national and international legal requirement". Thai Union stressed as one of the founding members of International Seafood Sustainability Foundation (ISSF), it was "committed to driving Illegal, unreported and unregulated fishing practices out of the industry". It also pointed to its own "business ethics and labour code of conduct", that, it said, ensured "anyone employed by Thai Union or within our supply chains is treated with respect." The company insisted: "We strive to comply with every law – both national and international - to protect human rights." Thai Union said it realised its position as one of the leading players in the sector meant it had a "responsibility to set the standards for the industry". However, the company conceded it was a "difficult balance to achieve" and hoped Greenpeace would "join the industry debate that is already underway, to work towards achieving our shared objectives". Thai Union claimed it had "already made considerable progress towards achieving these within our own operations". In July, Thai Union appointed Dr Darian McBain to a new position of global director for sustainable development in July. Last month, she told just-food part of her new role was to help the company tell its sustainability story better. McBain explained sustainability had been "part of the way we do business, but it hasn't been part of the way we tell the story about the way we do business". Sovereign Food Investments "not in takeover talks"